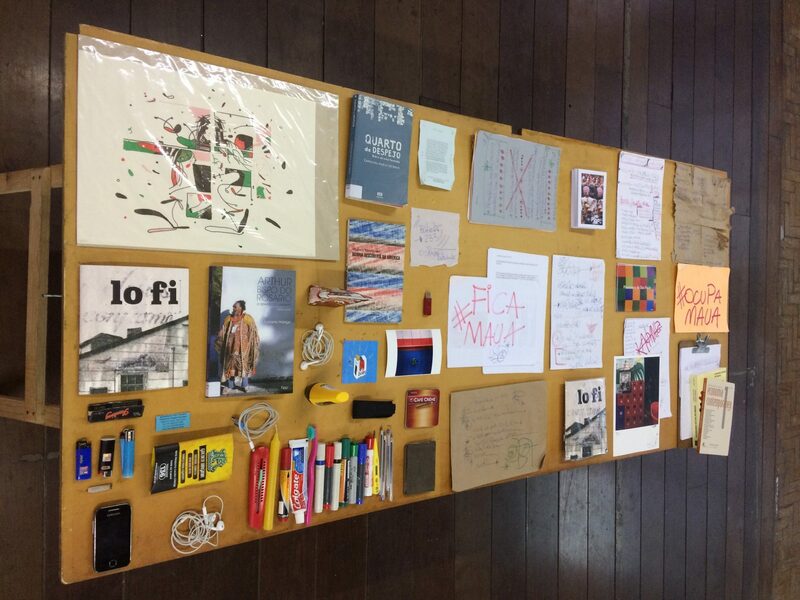 This is the repository for archives associated with the Central Saint Martins College Experimental Teaching Unit. FOUR CORNERS. In 1973, behind a shopfront at 113 Roman Road, London E1, four young filmmakers – Joanna Davis, Mary Pat Leece, Ronald Peck and Wilf Thust – set up a cinema and production studio with the aim of introducing “films and filmmaking to those who had previously been excluded from the whole practice”. In the context of a polarised and politically charged Bethnal Green of the 1970s, many local children and young adults found at Four Corners – and in Wilf Thust’s workshops in particular – a sanctuary where they could explore forms of self-representation and develop vocabularies of commonality, resistance and dissent. (MayDay Rooms, 2014). Four Corners archive deposited by Wilf Thust in October 2017. –Scrapbook 1. Four Corners Workshop 1979-1980. Full pdf version. –Scrapbook 2. Four Corners Workshop 1979-1980. Full pdf version. –Scrapbook 3. Four Corners Workshop 1979-1980. Full pdf version. –Scrapbook 4. Four Corners Workshop 1979-1980. Full pdf version. –Scrapbook 5. Four Corners Workshop 1979-1980. Full pdf version. –Scrapbook 6. Four Corners Workshop 1979-1980. Full pdf version. –Scrapbook 7. Four Corners Workshop 1979-1980. Full pdf version. –Scrapbook 8. Four Corners Workshop 1979-1980. Full pdf version. –Scrapbook 9. Four Corners Workshop 1979-1980. Full pdf version. –Scrapbook 10. Four Corners Workshop 1979-1980. Full pdf version. –Scrapbook 11. Four Corners Workshop 1979-1980. Full pdf version. –Scrapbook 12. Four Corners Workshop 1979-1980. Full pdf version. –Scrapbook 13. Four Corners Workshop 1979-1980. Full pdf version. –Scrapbook 14. Four Corners Workshop 1979-1980. Full pdf version. –Scrapbook 15. Four Corners Workshop 1979-1980. Full pdf version. –Scrapbook 16. Four Corners Workshop 1979-1980. Full pdf version. –Scrapbook 17. Four Corners Workshop 1979-1980. Full pdf version. –Scrapbook 18. Four Corners Workshop 1979-1980. Full pdf version.